CLPNA has partnered with Early Childhood Development Support Services (ECDSS) to present a webinar “Trauma Informed Care” on Tuesday, May 9, from 12:00 – 1:30 pm. 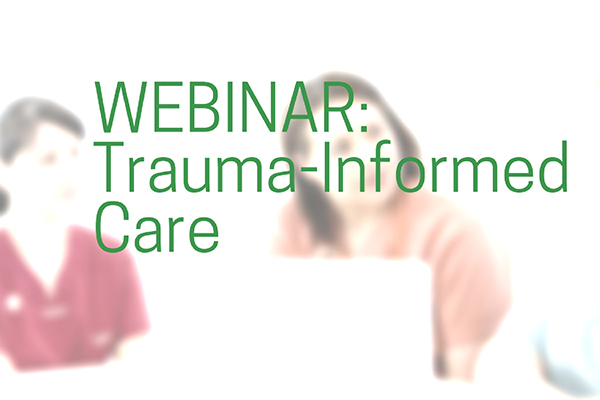 This webinar was created exclusively for Licensed Practical Nurses. Register below! Within the healthcare system, trauma is often associated with serious physical injury to the body. However, we now know that traumatic injury can extend far beyond the physical, impacting individuals in broad and life altering ways. Being “trauma-informed” means nurses acknowledge that individuals may have experienced a variety of traumas throughout their lives and respond using a trauma-informed approach. A webinar is a seminar that takes place on the Internet, allowing participants in different locations to see and hear the live presenter and ask questions. Registration is required to receive the website link to the presentation and email reminders. Contact the CLPNA’s Professional Development Consultants at profdev@clpna.com, 780-484-8886 or 1-800-661-5877 (toll free in Alberta). Would it be possible to offer the same webinar at different times or on different days? It would reach a wider audience if offered different times. Thanks for the consideration.